Coordinadora de Asociaciones y Comunidades para el Desarrollo Integral del Pueblo Ch’orti’ COMUNDICH is an indigenous rights organisation that currently supports 48 indigenous communities that belong to the Mayan Ch’orti’ People in Eastern Guatemala. 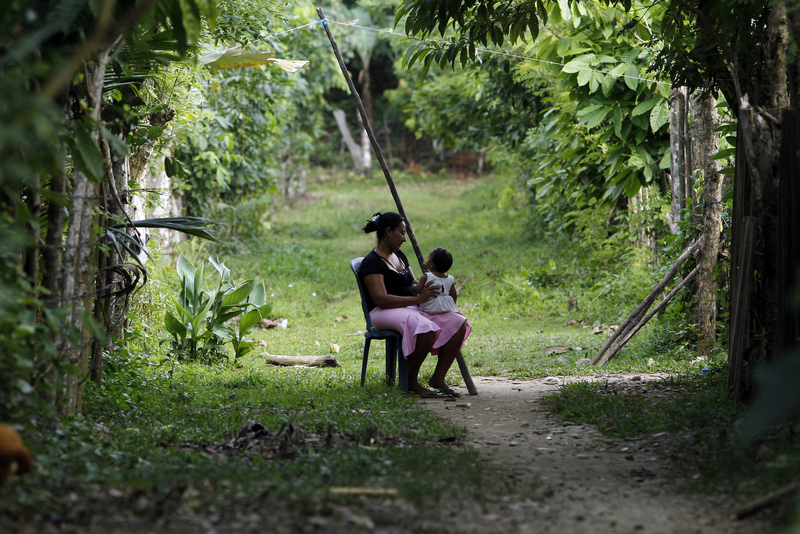 Cho’rti’ communities in the municipalities of Camotán and La Union in the department of Chiquimula, along the border with Honduras, are renowned for extreme levels of poverty and malnutrition. Not only are Cho’rti lands arid but these vulnerable communities have been illegally pushed off their lands by local families using violence and corruption of the justice system. COMUNDICH is pursuing lawsuits in national courts to recover land illegally taken from Cho'rti communities, and promote grass-roots development projects so they may better feed their families. 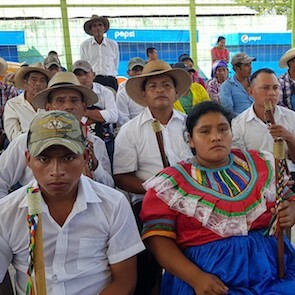 Members of COMUNDICH have been subjected to criminalization, threats and attacks, because of their work and activism for the restitution of their ancestral territories in Guatemala. Large landholders in the Chiquimula department, often maintain Cho’rti lands under the control of heavily armed bands. Over the past 10 years seven COMUNDICH leaders have been murdered, and in May of 2017, seven indigenous leaders organized in COMUNDICH were arrested, and remain wrongly imprisoned. Cho’rti communities are not a part of the development plans that the government has and fear it will only deepen poverty by reinforcing illicit landholders interest in their lands. While general violence and insecurity are a serious concern, HRDs continue to experience targeted threats and attacks against their homes and offices, which are frequently subject to illegal raids and break-ins. A climate of impunity in regard to human rights violations still prevails in the country, few attacks against HRDs are investigated and even fewer result in convictions.